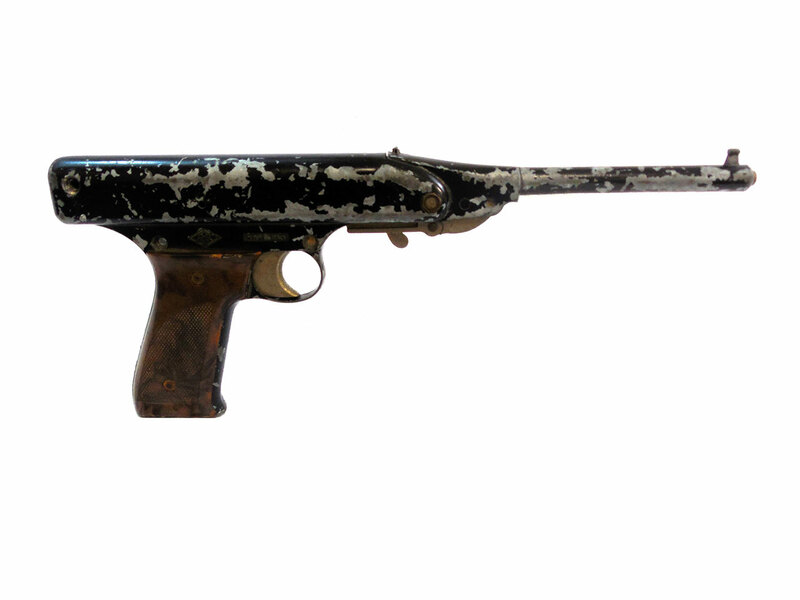 The Mondial Oklahoma is a .177 caliber break barrel single shot pistol. 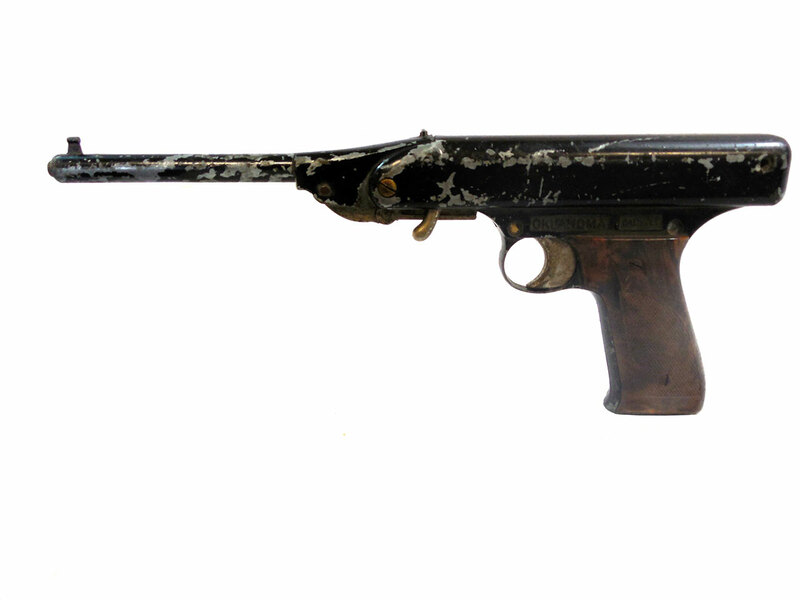 This gun has a spring pistol firing mechanism. 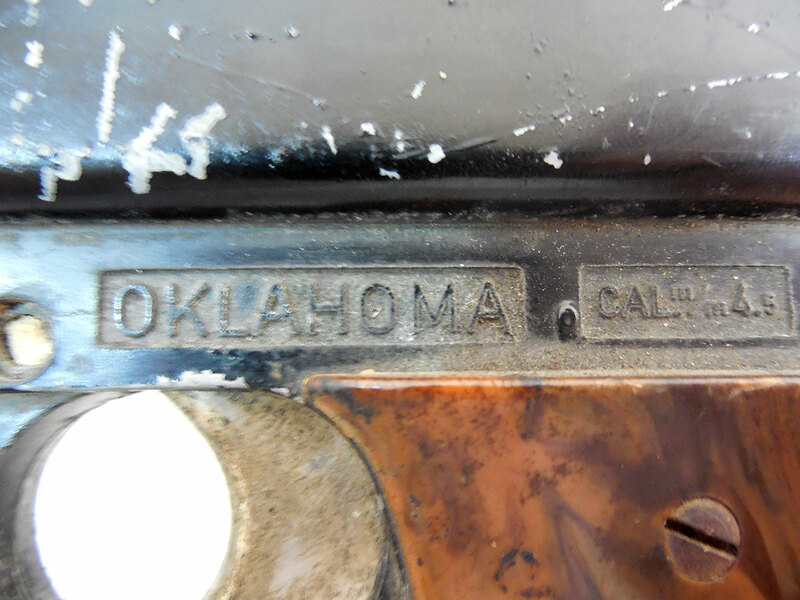 This Oklahoma does not work, and may not have all of its original parts. 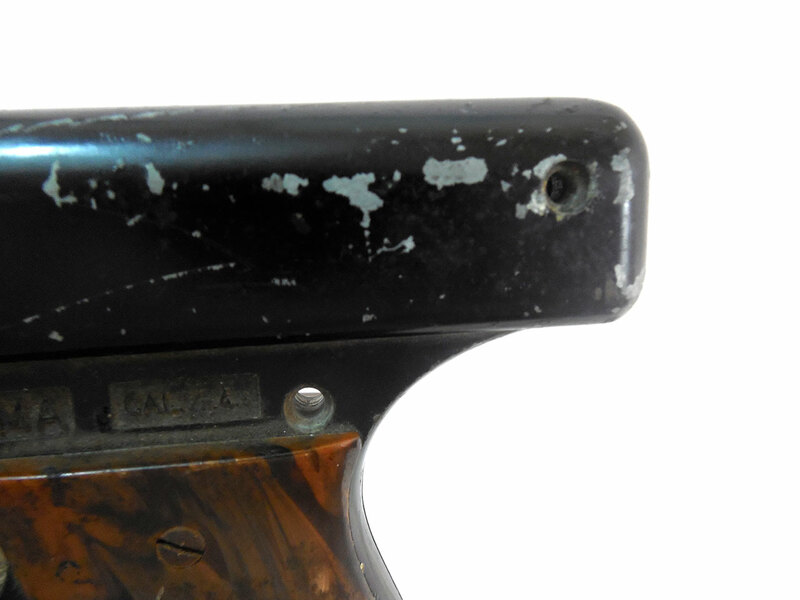 This pistol has 40% of its original finish, and its plastic grips have moderate ware. This gun is also missing several screws.